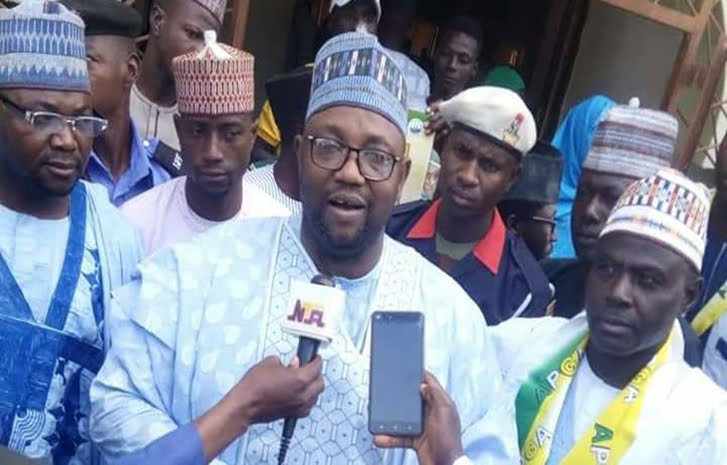 The Governorship Candidate of the All Progressives Grand Alliance, APGA, in Zamfara State, Alhaji Sani Shinkafi, has accused the National Judicial Council, NJC, led by the Acting Chief Justice of Nigeria, Tanko Muhammad of shielding a judge accused of engaging in acts of judicial misconduct. Shinkafi berated the NJC for failing to act on a petition that was lodged against a judge of Zamfara State High Court who allegedly misconducted himself and assumed jurisdiction over a political case marked ZMS/GS/52/2018, which pertained to the last governorship election in the state. According to the APGA candidate, though his petition was received by the office of the Acting CJN on February 26, he said the NJC abandoned its investigation midway and referred the case back to the Chief Judge of Zamfara State for settlement. He said the decision for the matter to be returned to Zamfara State was taken by the Acting CJN and communicated to him via a letter that was signed by Secretary of the NJC, Mr. Gambo Saleh. Dissatisfied with the action of the NJC, Shinkafi, in a fresh petition to the Acting CJN, said he was dismayed that such attempt was made to sweep issues he raised before the legal body, under the carpet.